Panorama is a software that allows users to gather important data from different surveys on students, family-school relationships, and teachers. Through insights gathered from its data analytics, schools and districts can monitor trends in the educational system, as well as create and improve programs. We compiled Panorama user reviews from around the web and determined that it has generally positive ratings. We also shared its available pricing options. 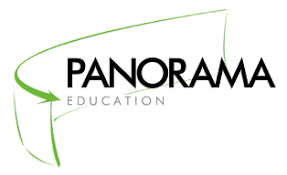 Users who gave Panorama a positive review said that it is an efficient program for analyzing educational data from student, family, and teacher surveys. They mentioned that it has a highly organized spreadsheet, which makes it easy to sort and manage information gathered. Users who gave Panorama a negative review said that the company’s customer support is inconsistent and that friendliness often depends on the agent addressing your concern. Some also pointed out that its spreadsheet is not as fluid to navigate as MS Excel. One user who gave Panorama a positive review on G2 Crowd said that sorting through the data is much easier because the software has a very organized spreadsheet. She noted that the student survey is particularly useful in helping teachers and administrators create better programs. One user who left a review of Panorama on EdSurge said that it does not offer access to data from other schools with similar populations for comparison purposes. He also pointed out that some customer service agents are unaccommodating and unhelpful. Panorama does not publish its pricing on its website, but according to a third-party site, it has three paid subscription plans: For Schools ($499/year), For Districts (customized pricing), and Hands-On Services (customized pricing). The main difference between the plans is the personalization features. Panorama For Schools is designed for school leaders and teachers, while Panorama For Districts is for district administrators, school leaders, and teachers. 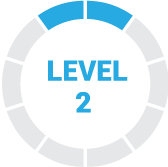 Hands-On Services are an upgraded version of the subscription plan for districts and include a dedicated customer support team for guidance and coaching. Check out the list below of some of Panorama’s features. How do respondents take surveys? Most respondents take surveys online, while there are others who answer on paper. Students typically log into the survey website using either randomly generated codes or their student ID numbers. The surveys can also be sent to their student emails, if available. For an additional fee, Panorama can deliver paper surveys to the schools, which will then distribute the sheets to the students and collect them after. Standard Panorama district and school reports show overall trends throughout the entire district and within the school system. The reports include district comparison so schools can identify areas for improvement and what their strengths are. Panorama reports are typically emailed to the school, district administrators, and teachers. The results are unique to every recipient and are protected by a password. This video provides an overall background on what Panorama can do to help districts create better programs for its school system. Not sure if Panorama is the right fit for you? Read our reviews of all top survey software providers or check out one of these three Panorama competitors. This program makes it easy to monitor student engagement. The product is helping schools help students gain more insight into who they are so they can become more successful in college. This program is new to me and i have not found any thing that I dislike. I do believe some of the questions are too vague. This program helps with creating student success and progress. It also allows the student to be more aware of their role in society. I believe this is beneficial to success in secondary education.